How do I send a card? How do I post an ecard on Facebook? How do I share an ecard via text message or through social platforms? Can I change or cancel an ecard? Can I send a greeting again? Can I send a free greeting again? I did not receive a confirmation email. Did you send my greeting? The person I sent my ecard to did not receive it. Why? How long does it take to deliver an ecard? The 'Personalize and Send' button is visible but not working on some ecards. Why is that? Why do I get a message about violating the Terms of Service? Why won't my ecard load? I received an inappropriate greeting. What can I do about this? ​How do I send a pre-scheduled ecard? How do I cancel a pre-scheduled ecard? Add a personalized note for your recipient(s) in the open text area on the next screen.You can adjust the font, size, and color of your message by highlighting the text you wish to change or make your style selections before adding your message. Select 'Preview' to preview your message and ecard. To exit preview mode, select close at top right hand corner. Add your recipient(s) name and email address or open your Address Book. If you have questions on how to add a contact from your address book go here. If you do not adjust the delivery date, your ecard will be delivered immediately, you can change the delivery date by pressing the calendar icon to the right of today's date. Learn more about how to add a gift card to your ecard here. Congrats! You just made someone's day! Enter a personal message to be displayed with your ecard. Select 'Preview' to preview your message and ecard.​ To exit preview mode, select close at top right hand corner. Select the 'Share or Send' button below the personalized message box. *If you are on an iPhone or iPad and are not logged in to Facebook you will have 2 options; share with the app, or log in to your Facebook account to post your card. We are currently experiencing an issue with using the app to share your card, so please log in with your Facebook email address and password to successfully post your card. Once you are logged into Facebook, select a sharing option from the dropdown in the upper left of the Facebook window. You may enter an optional message that will accompany your Facebook post. *If you are on an iPhone, a new window will display asking if you would like to open this page in "Messages". You can select 'Cancel' or 'Open'. Once you select 'Open', the ecard link will display in the message field. For all other mobile devices or desktop, simply copy and paste or enter the link below into your favorite messaging app to share your personalized ecard. It depends on whether your ecard was delivered immediately or scheduled for future delivery. Ecards sent for immediate delivery cannot be canceled, retrieved or edited. However, in the case where the wrong email address was used for a recipient, you can resend the ecard to a corrected email address via the 'Sent Ecards' page in my account. Ecards that are scheduled for delivery for a future delivery date, may be canceled up to 24 hours before the delivery date. To cancel a scheduled ecard, press the 'My Account' link at the top of the screen and then select 'Scheduled Ecards' (it's located on the left side of the screen on your desktop or tablet and towards the top of the screen on your smartphone). The 'Scheduled Ecards' screen is organized by month, with the most recent activity displayed automatically. To find the ecard you wish to cancel, you may need to adjust this filter. Once you locate the ecard, choose 'cancel' (located under the picture of the ecard). Unfortunately, the ability to edit a scheduled ecard is currently unavailable. The 'Sent Ecards' screen is organized by month, with the most recent activity displayed automatically. To find the ecard you wish to resend, you may need to adjust this filter. Once you locate the ecard you wish to send again, press the 'Resend' link below the picture of the ecard. Yes. To send a free greeting again, return to the Ecards page and locate the desired Ecard. You will be required to recreate the Ecard again from scratch. Please note that with a paid membership to our website, members have the ability to quickly resend Ecards from their list of Sent Ecards. Sent Ecards are located on the My Account page when signed in as a paid member. Ecards are usually sent within an hour. After an ecard has been sent, we also automatically deliver a confirmation email to you. If you have not received a confirmation email, it's possible that our emails are not being delivered by the email provider. Once you have added these addresses, you should receive future confirmation emails from us. If you still do not see the mail appear in your inbox, please check your Junk Mail to make sure that the messages are not automatically being routed there. 2. Internet Service Provider (ISP) is routing the message to a 'bulk' folder. In the first case, please double-check the accuracy of the recipient's email address. If you notice an error, you can resend the ecard and with the correct email address. To find out more, follow the steps to send your ecard again. In the second case, we regularly work with ISPs (like Yahoo) to avoid categorizing our ecards as bulk mail or 'spam'. In either case, if your ecard was not delivered, you can simply forward the confirmation email that you recieved from us to your intended recipient. Ecards are usually sent within an hour and each send includes a confirmation email that we deliver to you. This email contains a link to view the personalized ecard. Some of our ecards require personalization within the greeting before you can proceed to adding a message. Once you have completed your personalization(s), options to preview and send the ecard should appear. Why won't my ecard load? All I see is white space. In the dialog that appears, make sure the menu at the top is set to the ‘beginning of time’. Select the check boxes for the types of information to be removed. At a minimum, we recommend removing cached images and files. Press the ‘Clear Browsing Data’ button. To clear your history and cookies from Safari in iOS 8, tap Settings > Safari > Clear History and Website Data. In iOS 7 or earlier, tap Clear History and tap Clear Cookies and Data. To clear other stored information from Safari, tap Settings > Safari > Advanced > Website Data > Remove All Website Data. Tap or click the Tools button, choose Safety, and then tap or click Delete browsing history. Select the Cookies and website data check box, and then tap or click Delete. Click the menu button, choose History, and then Clear Recent History…. Click the drop-down menu next to Time Range to choose how much of your history Firefox will clear. Next, click the arrow next to Details to select exactly what information will get cleared. Finally, click the Clear Now button. The window will close and the items you've selected will be cleared. We are very sorry that you received an inappropriate or abusive message in the form of one of our ecards. Using our service in this way violates our Terms of Service and will not be tolerated. If you feel physically threatened, you should contact your local law enforcement authorities immediately. We will cooperate with their investigation in any way we can, consistent with applicable law and our privacy policies. Generally when users send emails of this nature, they use a false name, limiting our ability to prevent these communcations from being distributed via our service. While certain information about senders -- such as IP address and cookie number -- is gathered, we are prohibited by law from releasing that information absent a subpoena or search warrant. If you would like, we can block your email address so that you will no longer receive ecards from our service. Please be aware that this will also prevent legitimate communications -- those from family and friends -- from being delivered. If you want to take this step, please contact us. I tried to access a personal greeting that was sent to me, and it was no longer available. Ecards and other digital greetings sent to you or a recipient are stored for 12 months from the delivery date. After this time, they will no longer be available to view. Free ecards are stored for 30 days. How do I send a pre-scheduled ecard? Don't miss another birthday, anniversary, or holiday again! As a paid member of AmericanGreetings.com, you can pre-schedule your ecards, for sending by email, up to one year in advance. Select the ecard you would like to send and click the "personalize & send" button. Add your personal message in Step 1 and select a gift card or membership, if you wish, in Step 2. At Step 3, add your recipient's name and email address. Look for "send card on" and select the month, day and year from the pull-down menus. You may also use the calendar located to the right of the pull-down menus. The calendar has an arrow located at the top right to navigate to future months. When you click on the date you wish the ecard to be sent, the calendar will automatically close. When you have selected the desired delivery date, click "send your ecard." You will receive a confirmation e-mail. The ecard will be delivered just after 4:00 a.m. EST on the date selected. Please note that we suggest double-checking the desired delivery date before sending your ecard. Please note that you can check for pre-scheduled ecards. Click on the "my account" link at the top of our website and select "Scheduled Ecards" located in the left navigation. The "Scheduled Ecards" are organized by month. Use the dropdown box on the page to select the month the ecard is to be sent. You will find the ecard image, the recipient's e-mail address, the target delivery date and options to view, edit or cancel the ecard. 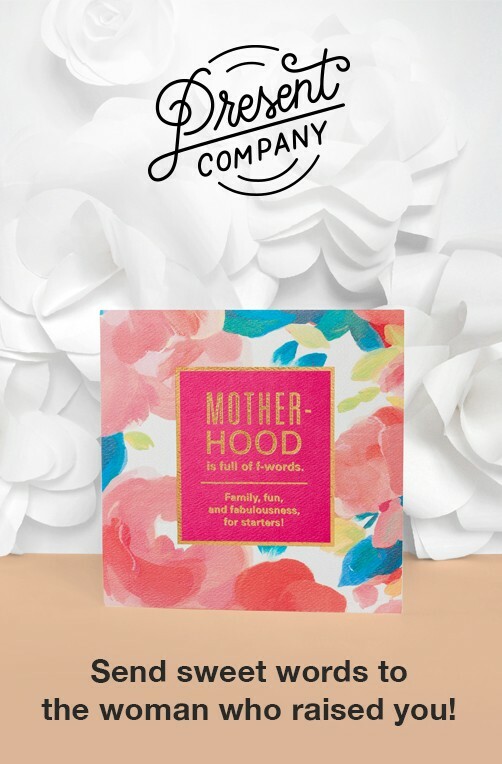 As a paid member of AmericanGreetings.com, you can use the Scheduled Ecards feature to cancel a pre-scheduled ecard up to 24 hours before delivery. Ecards sent for immediate delivery cannot be cancelled. Sign into your membership at www.AmericanGreetings.com. Click on the "my account" link at the top of the page and then select "Scheduled Ecards" from the list of features on the left side of the screen. Locate the ecards that you wish to cancel. Note the ecards are organized by send month, you can access the correct month from the dropdown box. Click on "cancel" under the thumbnail of the ecard you wish to cancel. Verify that you wish to cancel. Please note that ecards sent for immediate delivery cannot be cancelled. Copying text from another document can cause the message. Type your message directly in the "personalize your ecard" field, highlight the text, and use the tools provided to change font, size, or color. Addition of a URL or website address. For instance, www.americangreetings.com is the URL for our website. Adding a URL to your personal message will block the sending of your ecard. Addition of a personal email address in your message. An ellipsis (....) or any string of punctuation marks - !!! !, ****, etc. - will prevent sending of the ecard. Starting a new sentence without placing a space after the period ending the previous sentence will generate the message. Words or phrases commonly used in spam messages will block the sending of the ecard: remembrance, Nigeria, work from home, you're a winner, and oh well.